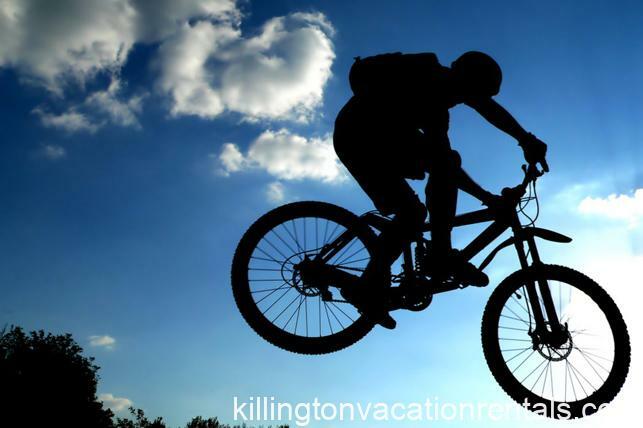 The Killington Region is a great place for mountain biking. There are several trail systems in the region that provide a variety of terrain for every type or mountain biker, from very beginner to expert. The mountain biking season begins in spring and continues into late fall. Lift-served downhill mountain biking at Killington begins in June and ends on Columbus Day Weekend in October. Before and after the lifts spin, there are miles and miles of trails at Pine Hill Park in Rutland and on the Green Mountain Trails in Pittsfield. For the past two years, Mountain Green has been the race headquarters for the Annual Killington Stage Race, which is a three day intense road bicycle race on Memorial Day Weekend. Killington’s Kona “Groove Approved” Mountain Bike Park offers the ultimate summer lift-served mountain biking experience. Killington Resort features 45 miles and a 1,700-foot vertical drop spread across five mountain areas, all served by the K-1 Gondola, offering everything from classic cross-country singletrack to challenging big-bike downhill and freeriding trails. 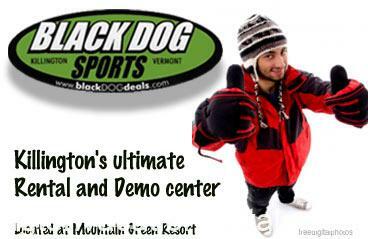 Killington offers guided mountain bike tours by reservation only through the Killington Mountain Bike Shop. Pine Hill Park offers a unique 300 acre, highly refined 16 mile singletrack trail system offering some of the very best Mountain Biking in Vermont. The trail network is laid out such that each visit and ride can be made different if desired connecting together different combinations of short trail segments. The singletrack trails at Pine Hill are well marked and maintained by community volunteers, and range from beginner level to very technical and challenging. There are a number of cool berms and bridges to play around on. The park is also used for Running, Hiking, Walking, GPS‘ing/Geocaching.